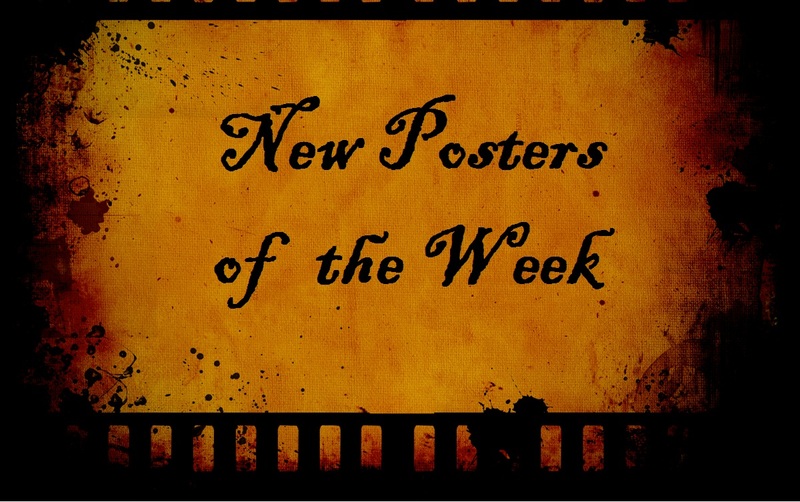 I always enjoy looking at (and collecting) posters and it is always fun to see the new ones each week. This week I was a little surprised because at first glance none of them really stood out to me until I looked at them a little more. For example, if you’ve seen the trailer or clips for Labor Day, then you may have an even greater inkling as to why the image is a strong one. Here Comes the Devil is a good poster for several reasons: (1) there are 2 central figures instead of one, (2) the color usage of the hands of souls reaching out, (3) the desolation of the background…and I have no idea what the movie is really about. Is it a “Rosemary’s Baby/Omen” type movie? Is it about a murderer and the children he orphaned? Is it about the government (hahaha)? I don’t really know. Nice poster. I like the old school style for The Grudge Match posters but they don’t do much to make me want to see the movie more. It’s Stallone, so, I’m sure I’ll see it. The Grand Budapest Hotel is grand indeed and definitely has the Wes Anderson look and feel. I like the handwritten style of lettering in the text for Endless Love, it makes it seem as if the characters do indeed know that innocence lost is what is happening and are defiant in making sure that takes place (which echoes what the trailer presents). A subtle touch. Belle and August: Osage County both are female centric and I like them…esp the latter because rarely do you see Meryl Streep tackled by Julia Roberts so I’m glad that captured that. haha. The colors of The Last Days on Mars strike me and reminds me of other space posters. It’s deceivingly amazing because, much like the plot, the poster looks innocent and simple enough but also foreboding and hinting at an underlying and unknown danger. My faves of the week: The Last Days on Mars, Labor Day and August: Osage County. There’s a few classic looking posters this week, from the classic boxing posters for the Grudge Match, which I think look really nice, I even like the little touch of the line “Tickets on sale at box office or on the world wide web” it’s a weird little way to bridge the classic feel of the poster with the actuality of the current day and I like it. I’m not quite as fond of the Here Comes the Devil poster, it also has a bit of a 70’s horror movie poster vibe to it, but it bugs me a little that the image of the two figures is doubled up on the poster and in the title. And The Grand Budapest Hotel has that great semi-classic-yet-always-Wes-Anderson feel to it that’s really great. As for the more modern styled posters, I didn’t even recognize Julia Roberts and Meryl Streep at first, but that poster is way too similar to This is the End so that it just feels like a copycat. And I’m guessing Delivery Man is another Vince Vaughn movie where he plays a likable schlub. Devil’s Due is interesting, but that circle looks an awful lot like the logo for the game Quake. I disagree with you on the Last Days of Mars, I know it’s Mars so it has to be red, but it just looks like every other Mars movie out there. And one final poster double for the week, Go For Sisters reminds me a little of Blue Caprice with a lot of empty space and a car featured at the bottom. My faves of the week: Endless Love,the De Niro Grudge Match poster and A Madea Christmas…I’m sorry, I must have just had a blackout there and somehow managed to type that last one, forget you read that. The Grudge Match posters look great; really like those. The poster for Here Comes the Devil is pretty good, though I agree with Bubbawheat about the doubling of the figures. haha. Nice! We shall see. I should start taking bets now! Sweet Dreams is a nice one. My favorite out of the bunch. I already know which one is your favorite…Madea Christmas! lol!!! I’m surprised you even posted that one…ha!